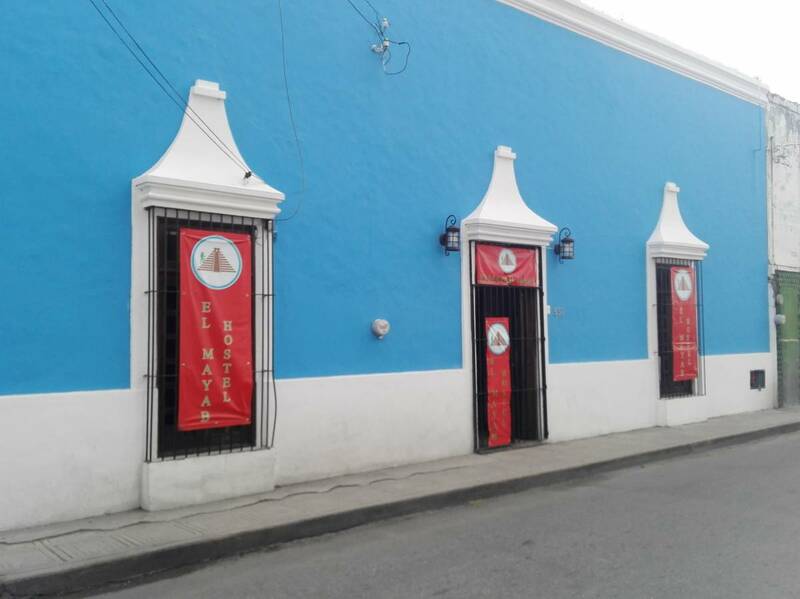 The Mayab Hostel, is located in the heart of the historic center of the City of Merida, one block and a half from the ADO Bus Station, 4 blocks from the largest food and crafts market in Merida, 4 blocks from the main square, 850 meters from the famous Paseo de la Revolución, 750 meters from the Plaza Grande, 1. 5 kilometers from the Palacio Canton Paseo de Montejo, 1. 8 kilometers from the Popular Centar Zoo Park, as well as around we have pharmacies and convenience stores . It is a house completely preserved in its entirety, you will feel the warmth, the harmony and reliability as if you were in your own home, it has a spectacular mural in the patio that gives it the special touch of the region, furniture and decoration completely new. The Mayab Hostel offers mixed or single rooms for women, as well as private rooms for two people, equipped with A / C. Shared bathrooms, t. v. area, lockers, social area, continental breakfast included. 2 Shared rooms for 8 people mixed or only for women with A / C, independent contacts for mobile. 3 Private rooms for 2 people with A / C.
The bus station is located 3 blocks away.